Monsters, demigods, heroes and Acropolis, a city in chaos. With a mandatory curfew to curb child abductions from monsters and ghouls, there’s only one thing this city needs – a hero. That’s where the town superhero, Haggard West, comes in. Except there’s one small problem – he just got blasted out of the sky by the ghouls. Now what? Battling Boy, written and illustrated by Paul Pope, introduces a new hero to Acropolis. Straight from his space station home world, Battling Boy’s journey into manhood begins by jumping through the lightning cloud portal onto planet Earth, landing him in Acropolis, which has just been ravaged by terrible and horrifying monsters that only Haggard West could have held at bay. After suffering a crushing defeat, his daughter, Aurora West is left to bury him and take over the family’s responsibilities. Meanwhile, monsters have organized and have taken advantage of the situation with little resistance from the local militia. Now only the demigod Battling Boy can stop them. Paul Pope has created an immensely entertaining read. It’s action packed right from the start, and properly sets the tone of a city in despair, a daughter that seeks vengeance, monsters that are some what dim-witted but organized and a prepubescent boy that seemingly has never been in battle before. The artwork, also by Paul Pope, is beautiful and expressive. It set’s light-hearted mood with it’s bright colors and exaggerated features of his characters. 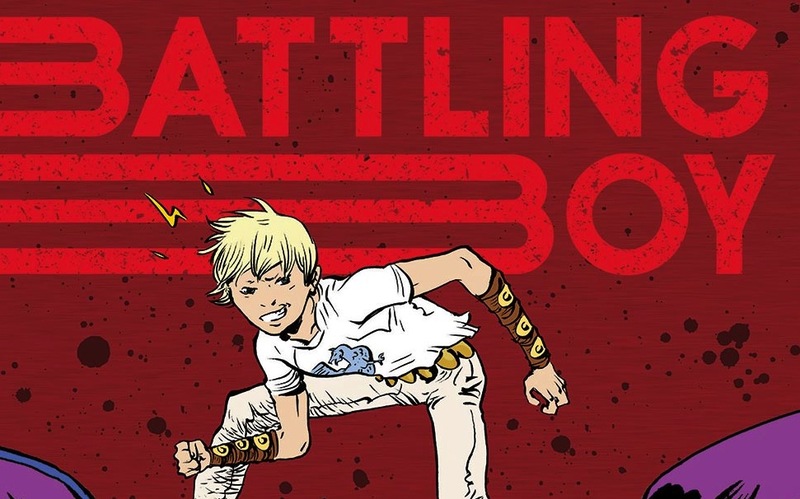 You must join Battling Boy in his adventure to learn and save the world! This is the beginning of a wonderful series. If Paul Pope is able to continue and expand this world there is no doubt in my mind this gets Shortboxed. Hell, it’s already best seller and has several best book awards, including the NPR Best Book of 2013. I’m looking forward to seeing what happens next! While the first graphic novel came out over a year ago, the second book highlights Aurora West’s rise. There are currently two books total, with more to be released, and you can get them at amazon.com or your LCS. It’s a damn good read.